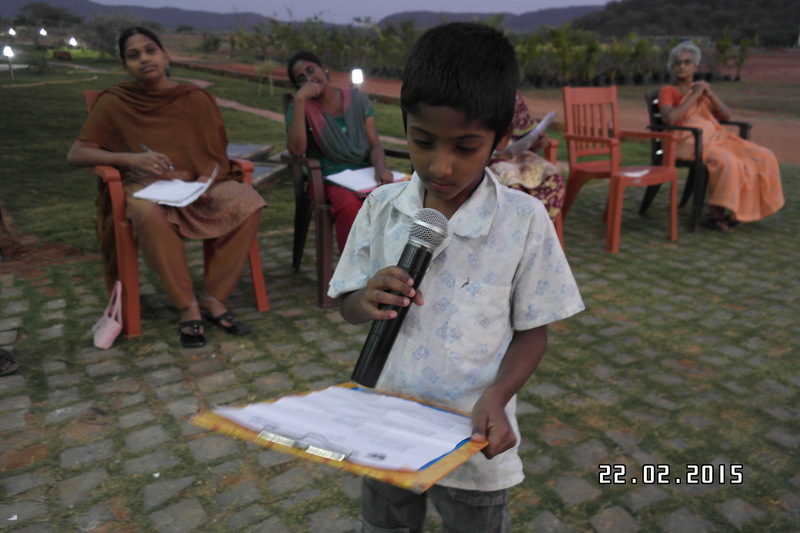 Bhargav reports on the HEAL institute for the visually challenged. 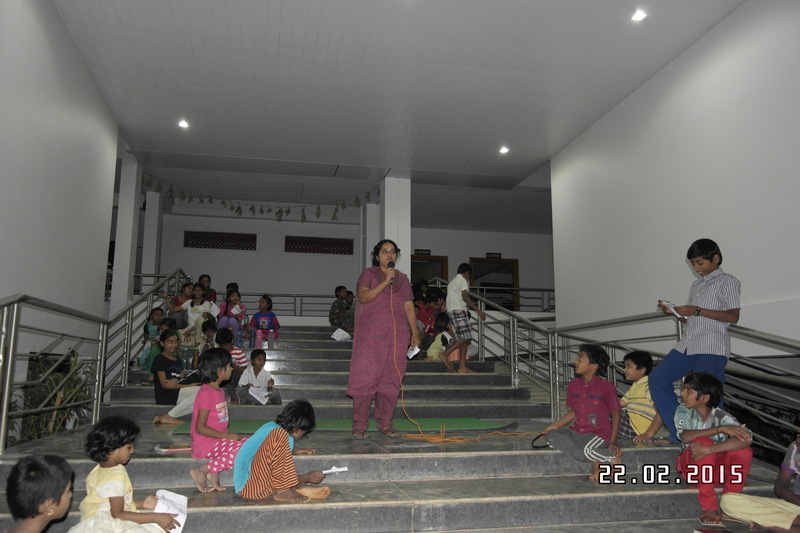 HEAL is planning an institute for visually challenged, donated by Dr.Chunduri Dhanumjaya Rao and his family.. The institute is almost complete. 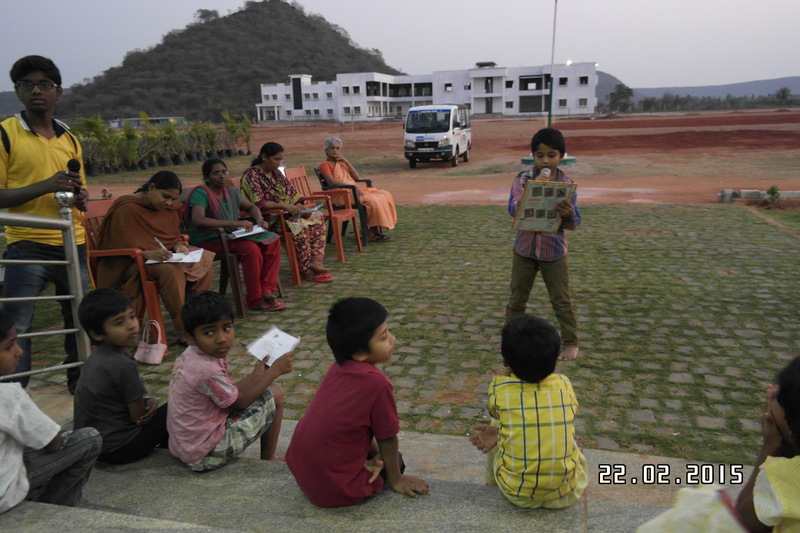 The institute will help blind children to learn, enjoy, and communicate with other’s. It is only for blind children. 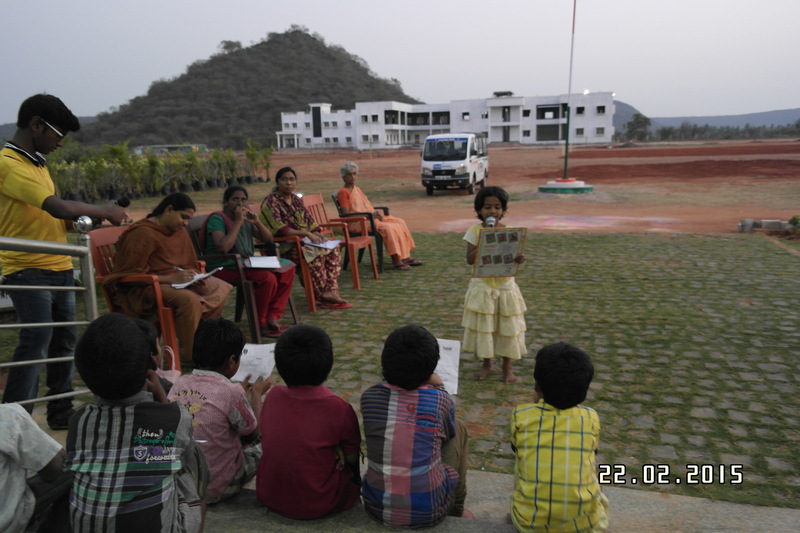 It will enable them to become good citizens of India and the world. 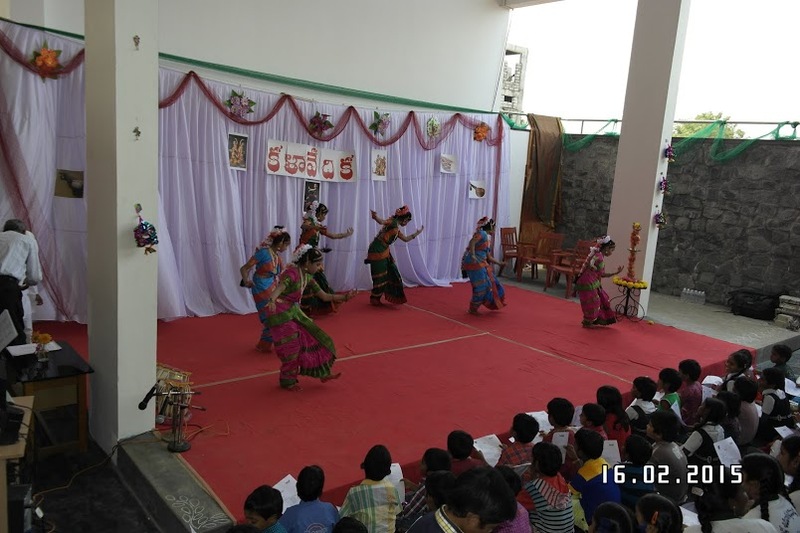 There was a big function on the 18th December 2014 to dedicate the institute. A picture is shown above. 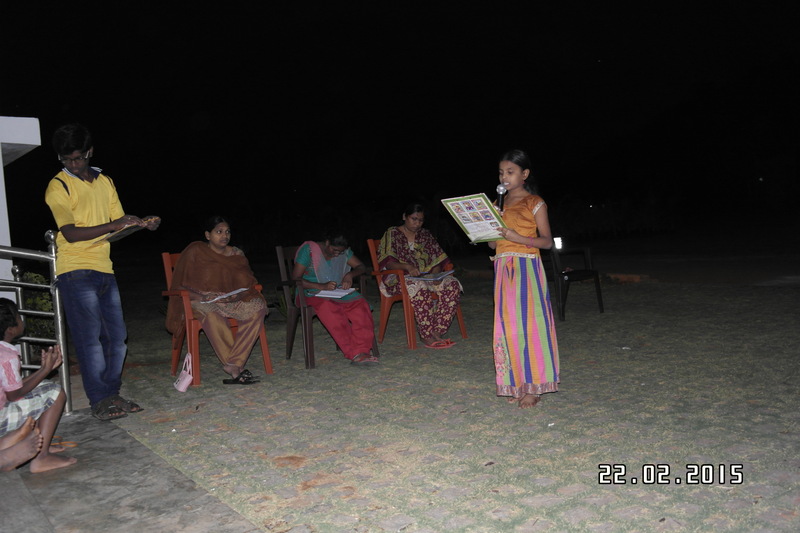 HEAL pledge is composed with a noble object to inculcate good values and self confidence among children and staff. 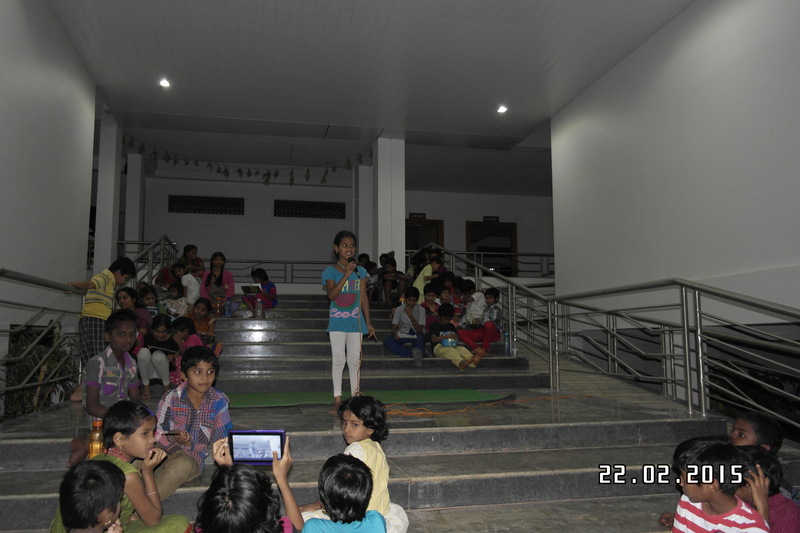 It was on 16th Feb, 2015 all the staff and students took the oath with great confidence on the eve of HEAL day celebrations. 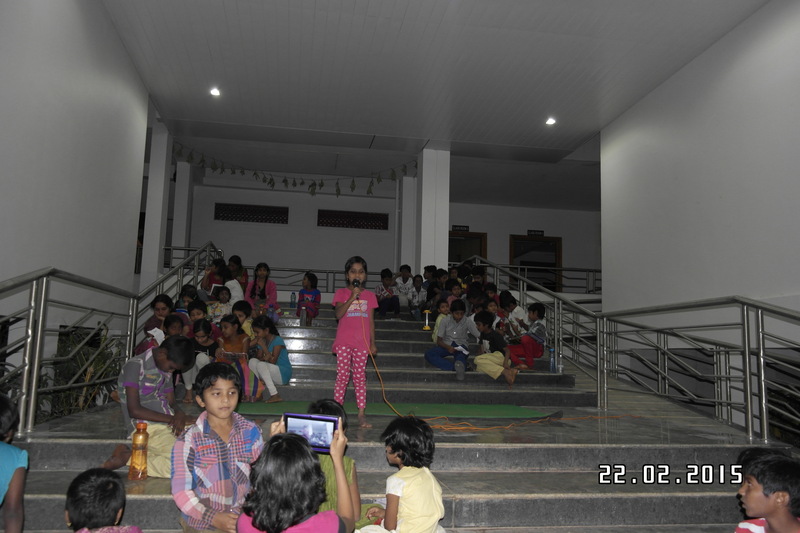 To encourage children to practice the pledge, Heal school management has conducted a competition to the children, teaching and non teaching staff on 22-02-2015. 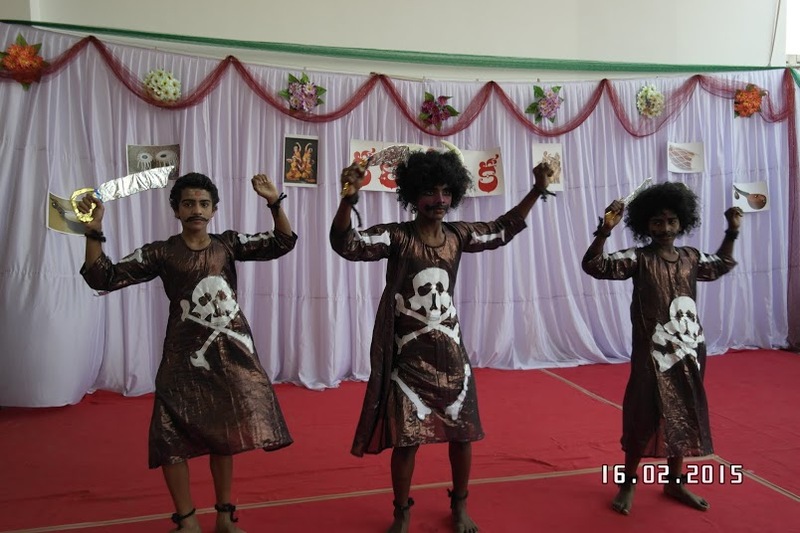 All the members took part in the competition with enthusiasm. 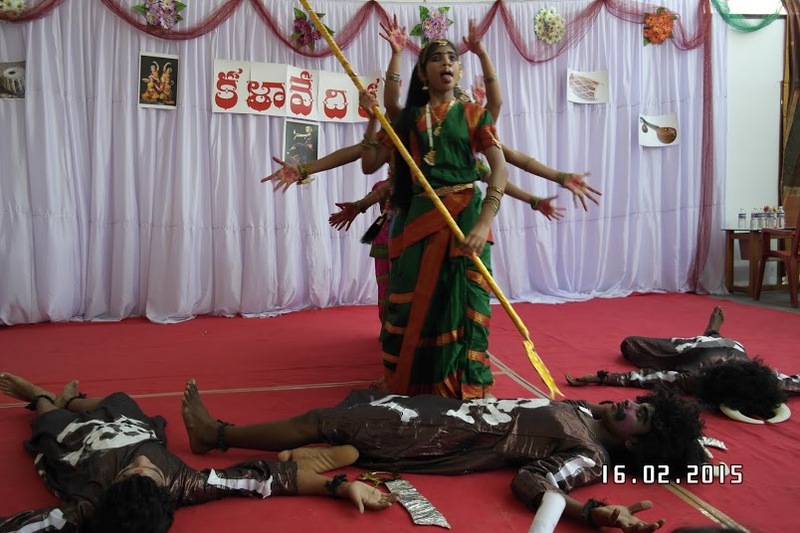 The winners of this competition are of II class, Mahesh of ‘C’ group, Srikar and SaiKeerthi of A&B groups, Ms.Hemalatha (house mother). 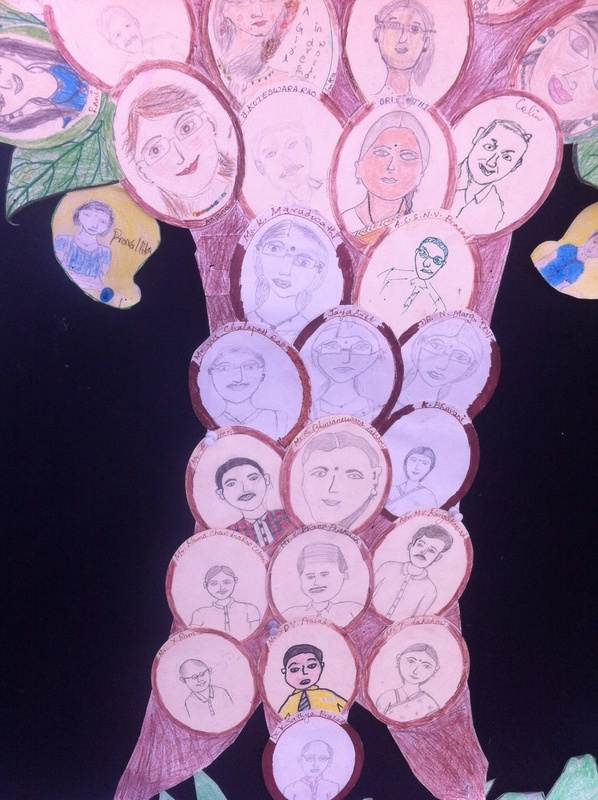 Under the guidance of Anjana, an English voluntary teacher, all the children and staff drew pictures of thenselves to go on the HEAL welcome tree. 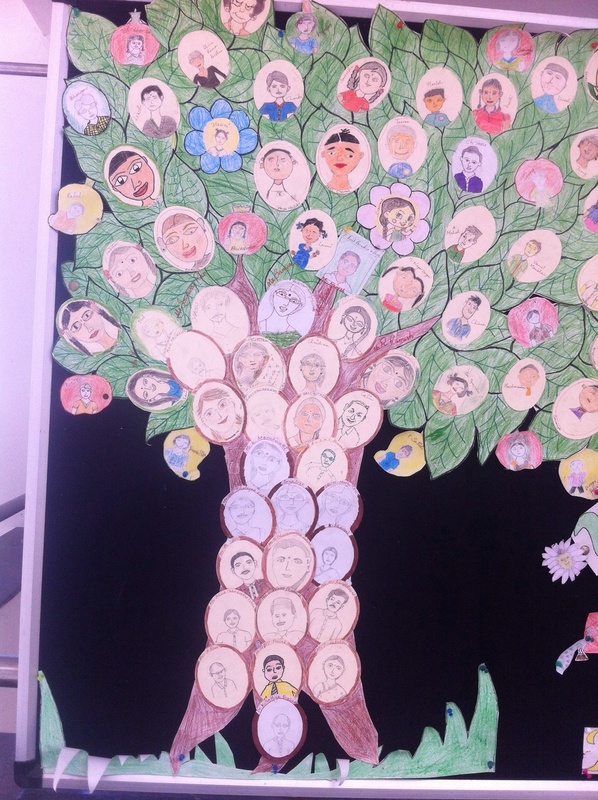 The tree was launched on the day of the HEAL Day clebrations. The tree provides a welcome to all visitors coming to HEAL. Heal day is held every year to celebrate the formation of HEAL. 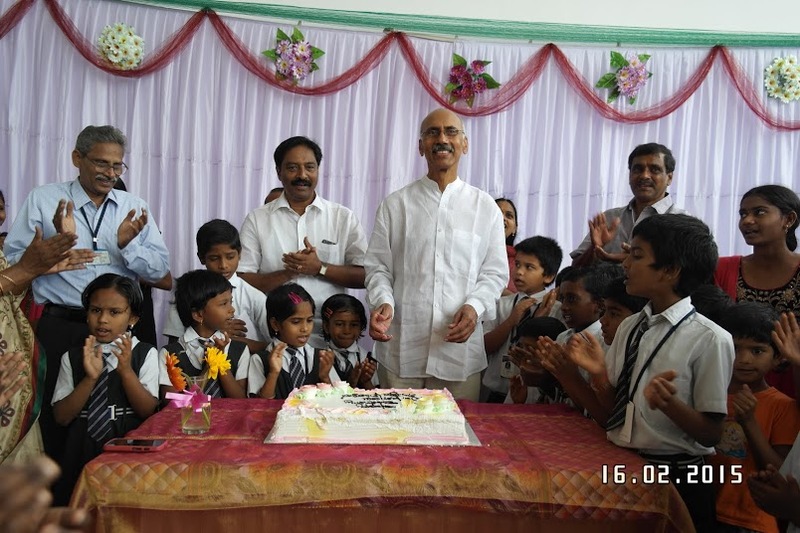 It is held on the 16th of February, chosen because it is the birthday of HEAL founder Dr. Satya Prasad Sir. We had been hoping to move to the boy’s dorm for the celebration but that is still delayed. We were able to have lunch at the boy’s dorm and we had a cake cutting celebration there to mark HEAL day. 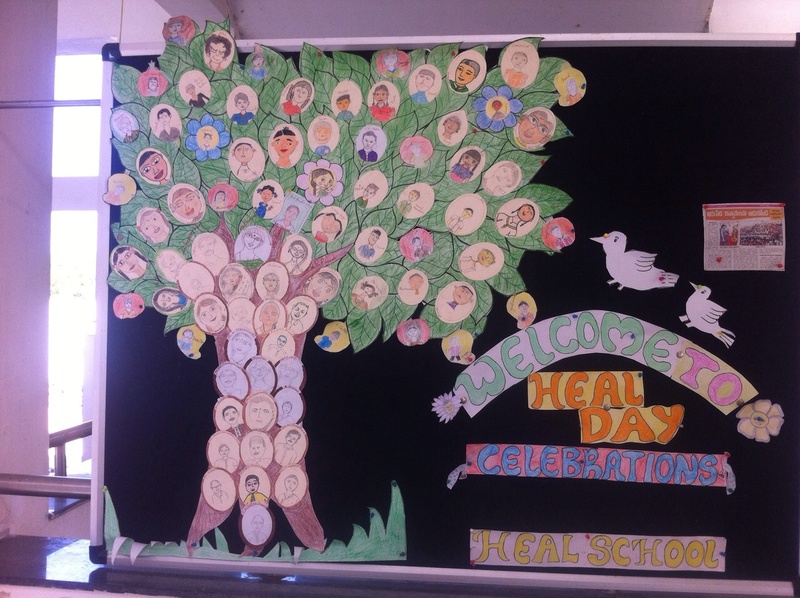 The branches of HEAL from Gunter, Badrachalam and Kanuru visited with us to join in the HEAL day celebrations. We were very pleased to have HEAL founders and sponsors at HEAL day to make the day more special. At the day prizes were handed out to the winners of the games which were held three days previous. It is expected that we will move into the boy’s dorm in a few days time. Here is a picture of it earlier in its construction. We were due to move in on the 18.12.14 but the building work has over run. It will be worth waiting for, to us students it looks like the new Tajmahal. The funding for the dorm was donated by Satya Prasad Sir. All at HEAL would like to express their gratitude and thanks to Satya Prasad Sir. In the boy’s dorm there is granite stones and nice gardens. Outside there are Meem, Mango, Coconut, Pogada and Banyan trees. There are also flowering Bringal and Citric plants. On the roof there are solar panels. These will heat the water and provide electricity for the building. The new dorm will be fitted out with beds and wardrobes for our clothes. There are many showers and toilets for our use. 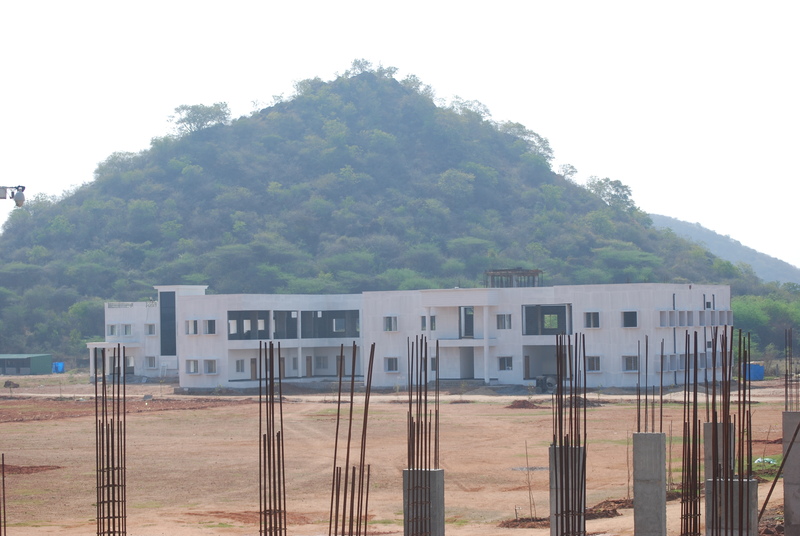 The girls dorm will not be completed for a few months so initially the boys will occupy the second floor and the girls will be on the first floor. Eating facilities and a large hall will be on the ground floor.